It was as if we were in a scene from a spy film. A SUV, with tinted windows, pulled up next to us on the street, a window rolls down, and a voice asks, "Beau and Krista?" I replied, "Yes, that is us. Are you taking us to go pick huckleberries?" The voice replies, "Yes, now get in!" We looked around, to see if anybody happened to be observing our encounter with the SUV, and upon not seeing anyone watching us, got in. As we entered the SUV our heads were immediately covered in pillowcases, and the voice then instructed the driver to turn up the radio. I can only assume the pillowcases and blaring ABBA was an attempt to disorient us and keep us from retracing our steps back to the huckleberries. The SUV proceeded to race off and, after what seemed like an eternity, arrived at our destination. "We are here," we hear the driver say, as the music was turned off and the pillowcases were removed from our heads. As my eyes readjusted to the light, I began to look around and noticed a vast hillside covered in pine trees and shrubs. We had arrived at, what I later found out to be, 'No Tell-em Creek' at the base of 'Keep Your Mouth Shut Mountain'. Okay, so maybe we weren't subjected to ABBA and pillowcases over our heads, but to say people are secretive of their huckleberry picking spots is an understatement! CIA agents would be more productive interrogating a warlord than they would getting huckleberry locations from 'pickers'. With prices often over $30 per gallon, you can see why we would jump on an opportunity to pick some 'Purple Gold' for ourselves! Our travels took us to Missoula, Montana, a mere 9hr drive from our home in Casper, where we met up with Krista's little sister and her husband. 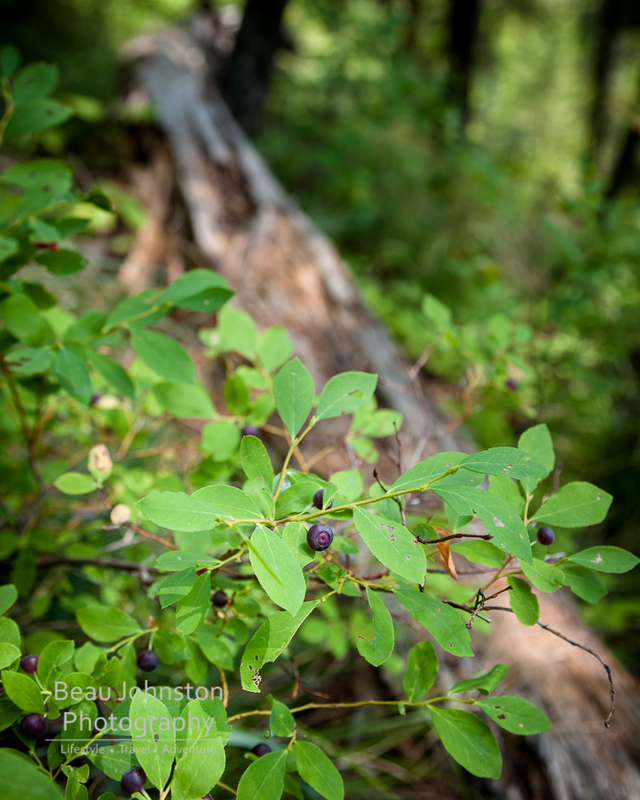 This area of Montana is filled with both huckleberry and Saskatoon Berries, and, being surrounded by so many foraging opportunities, really makes me want to move up there! 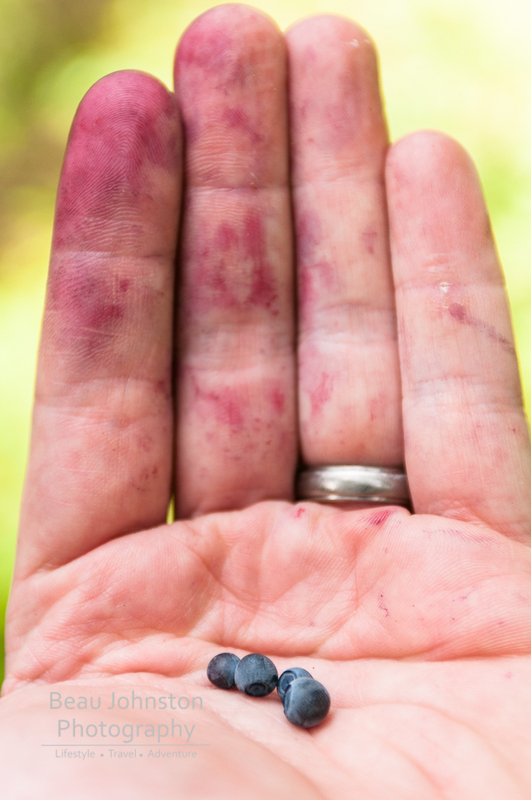 This year's weather has produced a bumper crop of huckleberries and after a couple of hours of picking, Krista and I were able to collect approximately 1.5 gallons of berries! Not a bad day's work, considering we got to hang out with family and make some new friends along the way! 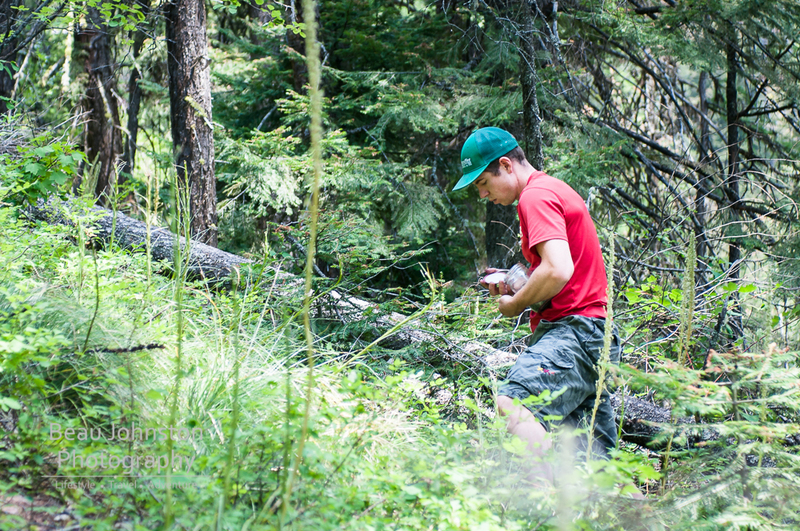 Now to begin searching for berries a little closer to home... I have heard they are around, just up 'No Tell-em Creek'.